More than a year after the French Rafale won the Medium Multi-Role Combat Aircraft (MMRCA) dogfight, a contract is nowhere in sight – forget the delivery date. Not only is it the usual drawn-out drama that comes with India’s defence acquisitions, it is also clear the French have overpromised on the technology transfer provisions and now want to welch out. The delay in the signing of the MMRCA contract, along with the high-octane upgrade of the Indian Air Force (IAF) MiG-29 Fulcrum and the advanced state of gestation of India’s fifth generation fighter, the Sukhoi PAK-FA, are creating a situation where the Rafale seems superfluous to India’s defence requirements. The biggest game changer is the ongoing upgrade to the IAF’s Fulcrum fleet which will convert them to the MiG-29SMT. This means these aircraft will now be on a par with the advanced MiG-29M. “The MiG-29SMT upgrade will represent a major step forward for the aircraft on multiple fronts,” says Air Force Technology. The IAF has speeded up the MiG-29B upgrade programme because of two factors. One, an impending fighter crunch. Hundreds of MiG-21 interceptors and MiG-23 interceptors and fighter bombers have been retired, and the long-serving MiG-27 ground attack fighter won’t be around very long. The 118 British Jaguars – which have been highly accident prone – may also have to be withdrawn from their deep penetration roles in view of the improvement in air defences in India’s neighbourhood. Secondly, India’s Light Combat Aircraft, Tejas, which was to have filled the void created by the MiG-21’s exit, remains flight shy. The three-decade long programme is suffering from all sorts of problems, leaving India with a huge gap in its light interceptor fleet. Defense Industry Daily (DID) reports the 62 upgraded MiG-29s – 54 single-seat fighters and 8 trainers – will join the Mirage-2000 fleet in the IAF’s multirole middle-tier category. This is a category that is above the MiG-21s/27s and below the Sukhoi-30 MKIs. The upgrade will change their role from air-superiority planes to full multirole fighters with modern air-to-air and air-to-ground weapons. The planes will be fitted with upgraded weapons and a new avionics suite, including the Phazatron Zhuk-ME radar. The Zhuk-ME’s acquisition range has increased 1.5 times. It also adds terrain following mode, and ground target acquisition including high-resolution synthetic aperture radar (SAR) to obtain a better picture than is possible with conventional radar. After the $964 million upgrade, the Fulcrums are expected to remain in service for 10-15 more years, with their safe flight-hour lifetimes extended from 25 years/2,500 hours to 40 years/3,500 hours. The IAF is also bulking up its middle tier by upgrading its 51 Mirage 2000s to a standard similar to the latest Mirage 2000-5. Flying with new radar and new weapons, the upgraded fighters can be expected to serve until around 2030. Including aircraft under order, India’s Sukhoi-30 MKI fleet is currently pegged at 272. It is an impressive number for such a high-end and expensive weapons platform. This shows a keen sense of judgement by the IAF, which realizes that 100 percent fleet utilisation is impossible and having a large number of aircraft around is the key to getting the job done. “These aircraft will be the high end of India’s air power, and can be expected to remain in the force past 2030, and are competitive with or superior to top-end European fighters and American F-15 variants,” says DID. Even allowing for the inevitable delays – with India insisting on various customisations – Sukhoi’s fifth generation stealth fighter will be entering service well before 2030. Under these circumstances, the Rafale is too late to the party. 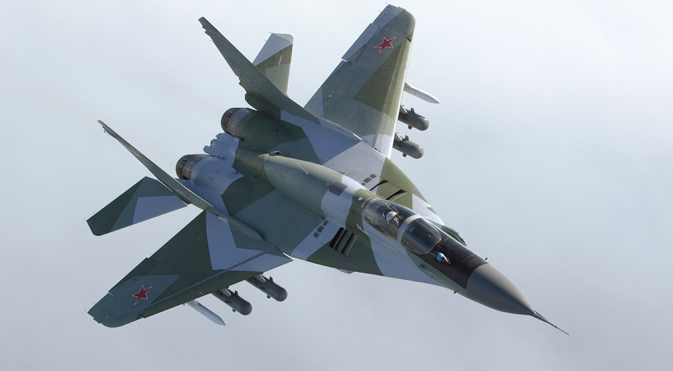 To be sure, the primary reason for selecting a Western aircraft – ahead of more potent Russian alternatives – is to reduce dependence on one vendor country. The other objective is to acquire the full technology suite of a modern aircraft for local production. French technology is being pitched as the magic potion that will save the Tejas programme, while also providing a large boost to aerospace and defence electronics industries in India. Basically, it will allow India to move up from screwdriver technology to building entire fighter aircraft from scratch. But will Dassault, which builds the Rafale, oblige? The French newspaper L’Usine Nouvelle cites complex electronics, and especially the Thales AESA radar, as being difficult to transfer. The Delhi-based Daily Pioneer predicts a “stream of news reports that we’ve already heard a thousand times before will come out telling us how unprepared our institutions are to receive this technology”. There is no reason for the IAF to accept a downgraded Rafale. In view of the massive fall in living standards in the West in general and mass unemployment in France in particular, it is France, not India that has to compromise. The alternative for Dassault is the closure of its Rafale plant. Someone should sit with the French and show them the mirror. The IAF is clear that it does not want to repeat the story of the HF-24 Marut fighter – the first Indian supersonic aircraft – which was developed in the 1960s by HAL and the freelancing German aerospace engineer Kurt Tank. Like the Tejas, the Marut too was an underpowered aircraft that was quietly retired. If the French do not deliver the technology, there is no point spending billions on sterile imports – unless someone in the vicinity of South Block is seriously committed to kickbacks. Another problem with the Rafale is the ballooning cost. The MMRCA was a requirement of the 2000s but the extended competition has inflated costs to stratospheric levels – from $10 billion a decade ago to around $20 billion, according to the New Delhi-based Institute for Defence Studies & Analysis (IDSA). Plus, nobody reckoned with the falling rupee, which has also increased the cost per plane. DID believes the 100 or so Rafales would offer some compatibilities with the upgraded Mirage 2000s, but will come at about twice the Sukhoi-30 MKI’s price. “If budget pressures intervene and Tejas continues to lag, India could be forced to buy a less expensive mid-tier plane instead,” it says. That plane could well be the MiG-29SMT. Its variant, the MiG-35 could easily replace the Rafale if India scratches the MMRCA and opts for a government to government deal instead. When advanced Russian aircraft are available for less than half the price of the Rafale, it would be prudent to wait before signing on the line that is dotted. The money can be better spent on beefing up the Tejas programme. For the kind of cash we are talking, there is a hell of a lot of red hot technology that cash strapped defence companies in the West will part with.